Shirley shows light weight, easy-to-pack fitness equipment. We all know traveling can be stressful from long commutes to long lines at the airport, that impact the way we move, eat and sleep. Here’s the low-down from our interview with Shirley Archer on tips for traveling well. For those of you who missed our live interview, Shirley Archer, JD, MA is a certified personal trainer, yoga, Pilates and meditation teacher as well as best selling author. Shirley lives in Los Angeles and Switzerland so she is a true road warrior with real life experience with long hauls and heavy travel. 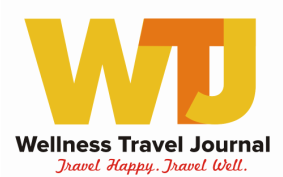 WTJ: How did you go from Wall Street attorney to wellness expert? I’ve always been a Type A person, still am today, and began my career as an attorney working for a large Wall Street law firm. I worked long, demanding hours and did not have time to consider alternatives. I became sick with the flu, bronchitis, walking pneumonia. I developed coughing asthma and could not talk. I needed to leave my job to attend to my health. After over one year of being sick, my doctor told me that I had “Chronic Fatigue Syndrome” and that he was not sure that I would ever feel better. My immune system was exhausted. It was at that moment, I realized that I had been passively waiting for the doctor to “fix” me. I was waiting for a magic pill. Then, I got it. My health is my responsibility and only I can create it. So, I began to study everything that I could to restore my own health. With exercise, meditation and mindful practices, good nutrition, counseling and dedication, I became fit and healthy again. And, I decided that I was an intelligent and educated person, but this had happened to me. I had an information gap. And, I dedicated myself to educating others about how to optimize their health and happiness. And, here I am today, 15 books later and as passionate as ever to help others. WTJ: What are your tips for long hauls, traversing time zones and acclimating to time changes? START ADJUSTING BEFORE YOU GO. You can jumpstart your body’s adjustment., if you’re going to have a significant time change. Science tells us that the body can adjust about 1 hour per day (that is what we used to be able to travel without high technology). Therefore, start waking up 1 hour earlier each day for a few days before your trip. If that’s too much, do it in 30-minute increments and go to sleep earlier. WTJ: What tips do you have for recovering after arrival from a long trip? EXTRA Hydration and LIGHT EXPOSURE really helps – The day before the trip, I set a phone alarm reminding me to drink a liter of water first thing in the morning, around noon, and mid-afternoon to make sure I’m well hydrated. Make an effort to expose yourself to sunlight as soon as possible after you arrive. If it’s still light, take a brief walk outside. If it’s too late, do it first thing the following morning. Exposure to natural light stimulates our own body clock and speeds our adjustment. Look up the fitness facilities at your hotel – even splurge on a personal trainer appointment your first day in to orient you, so you can fit in a training session. Alternatively, schedule a MASSAGE at the spa. It’s a great way to relieve the aches and pains after a long flight. Best to book these in advance, so you can do it right when you arrive. WTJ Packing light is always a good idea but what light weight fitness equipment do you recommend packing? If you have a regular training routine, I recommend three light fitness tools — an exercise tube or band for toning, a jump rope for cardio and warm-up and a stretching strap for flexibility. You can even bring a lightweight yoga travel mat – also “sticky” socks and gloves can even replace your mat, if you know yoga postures. WTJ: What strategies do your recommend for healthier and more comfortable air travel? Bring a sleeping mask and ear plugs and/or wear noise cancellation head phones. Planes are very loud. Drink lots of water. If water gets boring, lots of airlines also offer quick soups. Drink those instead or tea. Bring your own tea bags so that you can have decaf or herbal blends. Aim for one bottle per hour. Trips to the restroom are good opportunities to stretch. While waiting to use the restroom, take the time to stretch, no one will mind. Standing calf stretches, as well as hip flexor (yoga dancer pose) if you can do it, are great. While seated, also try to stretch each hour. You can do a seated spinal twist, knee hug stretches one at a time, cat and cow for lower back, shoulder squeezes and rolls – all great tension relievers that will also boost circulation. Also, do ankle rolls and flex and point your feet as you sit in your chair. This will stimulate circulation in your feet and ankles and help reduce swelling. WTJ: Often I see passengers struggle to get their luggage in and out of the overhead bins. What tips do you have to avoid sprains & strains? Firstly, don’t overpack! Keep it light with essentials only. Make sure it’s a weight that you can lift comfortably. Avoid twisting and lifting at the same time. In a narrow aisle, face your bag and pick it up. Then turn and face your bin to lift overhead. If you need assistance, do not be afraid to ask. WTJ: Sitting for long periods of time is unhealthy. What can passengers do while seated to relieve tired and fatigued muscles? WTJ: What advice do you have for those that want to get out to exercise? Identify and use legitimate running and walking routes – Every city has great running and walking routes, from urban parks to desert paths and a resource American Heart Association’s walking paths. Before you go out, make sure you tell someone where you plan to go and when you plan to return. If you don’t tell a travel partner, alert the front desk at the hotel. Make sure you take the hotel address and phone number with you. Check with the concierge and let him or her know your fitness level and what distance you’d like to run or walk. Also, Chronicle Books has a number of “City Walks” e-books for major cities worldwide. It’s a super resource. For those that missed the live video interview, Shirley gave us some great examples of stretching exercises you can do while seated on an airplane, at your office, or at the airport. Below is an excerpt from her book, "Fitness 9 to 5: Easy Exercises for the Working Week". About Shirley Archer, JD, MA, is a best-selling, award-winning author who has written 15+ titles and is a certified personal trainer, wellness coach, yoga, Pilates and Meditation teacher. Featured on Americas's Next Top Model, Shape Magazine, The Washington Post and other media outlets, Shirley is an IDEA Fitness Instructor of the Year winner, and worked 15 years at the Stanford University Prevention Research Center. Shirley inspires others to live their best lives. Since I personally manage celiac disease and food allergies, I always make sure to have a mix of protein and carbohydrates with me while on-to-road. I also bring enough food to get to my destination while taking into account potential travel delays. Also, always be sure to read product labels diligently to ensure that ingredients have not changed and the snacks are safe for you to eat based upon your allergies. I hope you enjoy safe snacks wherever your life may take you! 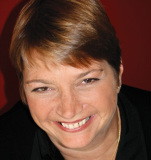 Kim Koeller is the founder of www.AllergyFreePassport.com. She's also a speaker and consultant. Her website is full of great information and includes food products, travel ideas and snack checklists from our Let’s Eat Out Around the World Gluten Free and Allergy Free series. The winter holidays are some of the most impacted days for travelers. With a bit of preparation both physically and mentally, a stress free holiday is within reach. Here a few tips on how to arrive with energy and a bit more ease. Don’t wait till the last minute to get gas. Fuel up the day before you leave. Be sure to bring enough water along for everyone. Don’t get overly thirsty or gulp. Sipping helps your body deal with stress better. Bring some healthy snacks in the car. Don’t push it. Pull over to rest when you need to and be sure to stand and stretch your back, neck and shoulders. Call if you’ll be delayed. Your hosts want you with them and not injured or worse. Use slow deep breaths to release stress and a bit of Drivetime Yoga to help avoid back, shoulder and neck pain from sitting. It’s fun for everyone in the car. Be easy with yourself and plan ahead. Avoid leaving packing, or getting your home and pets ready, to the last minute. Don’t skimp on cardio exercise in the days before going on a long flight. It will help your body deal with travel stress and long hours sitting. Avoid being overly hungry and then eating something you may regret later. Bring a baggie of nuts/dried fruit/dates and perhaps some cut veggies for quick snacks to hold you over till you have access to healthy food. Drink enough water and sniff a pinch every hour – airplanes have low humidity and oxygen. Getting up to use the bathroom will help you stretch out cramped muscles. Stretch in the aisle, as long as you’re not in anyone’s way. Try a few slow lunges, back bends, swivel your hips slowly and twist. Be wary of swollen ankles and feet. Do ankle rolls and toe-heel points. Avoid cold feet and wear compression socks for the flight. Feeling cramped? Do a few hip shifts and shoulder rolls. A little Flytime Yoga can go a long way. About Elaine Masters: Dedicated to helping travelers get where they’re going feeling great, Elaine is a world wanderer and the Indie Excellence award-winning author of Drivetime Yoga and Flytime Yoga. Blog founder of Trip Wellness and host of Travel Well Meetups in San Diego, she also hosts the top ten podcast, The Gathering Road, on the Womens Radio Network. The year 2013 may be known as a year of travel insecurity. From airline crashes to cruise ships, international events and alerts around the world, along with terrorism threats should serve to remind all of us, that travel is never without risks. We go on vacation with the goal of relaxing and simply enjoying ourselves in a carefree environment. This search for eternal fun means that vacationers often do not think about the rules of safety and simply leave their common sense at home. 1. Have backup documentation, especially when traveling abroad. Make two photocopies of the front page of your passport. Leave one at your hotel and leave one at home with a trusted relative or friend who will be available while you are traveling. In a like manner make sure to carry your credit card numbers in a separate location and do not forget to take the card's telephone number in case you need to report a stolen or lost credit card. 2. Make sure that your credit card company knows where you are and what your dates of travel are. There is nothing more frustration than a credit card computer believing that someone has stolen your card and shutting it down. By calling the credit card company you can avoid the hassles and embarrassment of your card not working. 3. Carry multiple forms of payment (cash, credit cards, money withdrawal cards etc). Always carry more than one credit card with you in case you lose one, it is stolen, or becomes demagnetized. Know the advantages and disadvantage of each form of payment. When using cash be discrete and never take a large amount of money out from your pocket in public. Carry only the cash that you will need for that day. 4. Know the local customs, foods, dinner hours and tipping policies before you land. Know the local laws and customs of the place that you are visiting. Do not assume that what is legal in one location is legal in another place. Write down and memorize how to ask for a police officer and medical assistance in the local language. 5. Make sure that your family and friends know where you are and how to find you. In case of an emergency it will help everyone if friends and relatives have you itinerary and list of hotel numbers. Your cell phone will not work if something happens to you, so back that number up with local numbers. If you change your plans, have a person at home whom you can email with the new information. 6. Your mother was right; don't speak with strangers! Although when traveling everyone is a stranger, be careful not to give private information to anyone. Do not give out your address, full name or passport number. If you are a female traveler be careful of going off with a man who you do not know. 7. If you are in a place where you may become a victim, then take a city tour first. Use a reputable agency. Look at the map before you leave the hotel, not while you are on the street. Best to write down directions on a piece of paper and leave the map folded in your pocket. 8. Keep the hotel's address and telephone number with you at all times and do not keep it in your wallet. Also if your country has an embassy or consulate in the city (cities) that you intend to visit, then let them know who you are before you arrive. If lost, do not panic but rather ask a police officer for help or call the hotel and ask them to guide you. Always carry local emergency numbers with you! 9. Dress down, not up and keep track of your personal items. Travel is not a fashion show. When touring do not wear your best clothing and leave your jewelry at home. Keep it simple and remember if you cannot afford to lose it or will be emotionally distraught then leave it at home. Do not leave bags, briefcases or backpacks unguarded. Make an inventory of what you have before you leave home. 10. Trust but also verify! When traveling it is a good thing to be skeptical. Do not share your trip itinerary with unknown persons. If someone wants to know where you are going, ask yourself the question, "what for?" The best is to learn to answer without giving information. Never allow yourself to be pressured into doing what feels uncomfortable to you.Do not share your itinerary with anyone. If someone wants to know where you are going, then ask yourself, why does this person want to know. You do not need to answer a question and when so doing, be vague! 11. Never accept a drink from someone you do not know. If you need to use the rest room, do not leave your drink on the counter. Remember that men are as likely to be victims as are women. An often-overlooked fact is that men are from a percentage point of view more likely than young women to be victims of crime. 12. Whenever possible avoid taxis on the street. Take only taxis that have been approved by the hotel in which you are staying. If other passengers are in the taxi, let it go! 13. Be aware of the dangers on the road. If driving a rental car, make sure to park it in a well it place or in the hotel parking lot. If someone hits your vehicle do not stop to inspect a car if you are hit. Drive it to a secure space, but do not get out of the car. Better to lose the car than to be kidnapped. 14. Ask about hotel security prior to renting a room, especially in a foreign land. Do not receive guests in your room, but rather in the hotel's lobby. If you feel uncomfortable with another person on the elevator, do not enter the elevator, or get off and stand by the soda or vending machines. 15. If going out at night, make sure that someone knows where you are going and when to expect you back at the hotel. This is true both for people traveling in groups and by themselves. Ask at the hotel what the best route is, what places you should avoid and when it is best to be off the streets. 16. If attacked, try to get the best look possible at your attacker and try to remember every personal detail. Look for identifying marks such as a tattoo, scar, or other distinguishing characteristics. However do not end up in a fight with your attacker. It is better to loose one's possessions than to loose one's life. 17. Remember you on not invincible!! There is no person, reputation, or article that cannot be destroyed, stolen, or harmed. 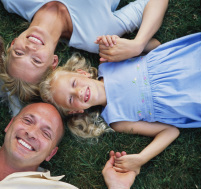 Your personal protection is first and foremost your responsibility. Be care and you are sure to have a great vacation. Reprinted with permission from "Tourism Tidbits." About the Author: Dr. Peter E. Tarlow is the President of T&M, a founder of the Texas chapter of TTRA and a popular author and speaker on tourism. Tarlow is a specialist in the areas of sociology of tourism, economic development, tourism safety and security. Tarlow speaks at governors' and state conferences on tourism and conducts seminars throughout the world and for numerous agencies and universities. 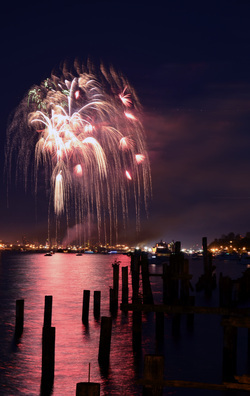 Fourth of July weekend is the time to enjoy family, friends, food, and fireworks! Unfortunately, this fun celebration of our national holiday can quickly turn tragic when using alcohol irresponsibly. According to The National Highway Traffic Safety Administration (NHTSA), Fourth of July weekend ranks as the deadliest holiday of the year as a result of alcohol-related traffic accidents. With Independence Day quickly approaching, consider the following drinking and driving statistics compiled by federal agencies, including the NHTSA. 90% of drunk driving happens after drinking with co-workers, family, or friends. Over the past 25 years, 51% of all deadly crashes on Fourth of July weekend are alcohol-related. Individuals between the ages of 21 and 24 are involved in 36% of fatal alcohol-related car accidents. Be proactive, and take precautions to keep yourself and those around you safe. Keep the following tips in mind this July 4th. Always have a designated sober driver who will hold car keys of those who plan on drinking. If you suspect or see a drunk driver on the road, don't hesitate to contact local law enforcement. Article Courtesy of: The Watershed, a premier drug and alcohol treatment facility in South Florida, wants to remind the public that thousands are expected to drink during the holiday, putting themselves and others in danger when they hit the road.